However old you are, Halloween can be a great time for having some fun as summer fades and the nights draw in. But it’s all too easy to let is pass by without doing anything to make it particularly memorable. 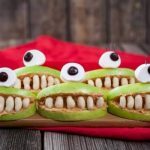 So, in this post we’re going to give you some great ideas to make this year’s Halloween one to remember! Take your friends and family along and enjoy spooking each other! If there was ever a time to scare someone by placing a hand on their shoulder or shouting “boo!” at an opportune moment, this is it! Take a look at The 17 Absolute Creepiest Places To Visit In Britain on Buzzfeed for a great list of haunted places in the UK with some genuinely scary photos! You can also visit here for some more spooky ideas! A quick visit to www.terrorattractions.co.uk will reveal plenty of horror-themed events that you can join depending on where you’ll be around Halloween – and yes they do have events near Birmingham! In addition to Warwick Castle, there’s also The Haunting 2016 from the 28th to the 30th October. Activities on the night include: welcome cocktails in a themed room, a three course carvery meal, music, party games and a something a little more sinister… Fancy dress is compulsory and tickets are selling fast, so if you’re interested, have a look at the feature on the Terror Attractions website as soon as you can. Another great activity for Halloween is apple picking as this is the perfect season for apples! Healthy and nutritious, apples are great for eating straight from the tree – there’s nothing quite like picking an apple and then taking a bite right then and there! As well as eating them fresh, you can also try your hand at apple pie, apple crumble or even a spot of cider making! Whatever you decide, we’re sure it’ll be delicious! Find a list of farms where you can pick your own apples on Google, or visit the the Pick Your Own Farms site by visiting here. Decorating a pumpkin is a great way to celebrate Halloween and they look fantastic! Before you can carve it, though, you first need to find the right pumpkin. Look for mould, bruises, soft spots and external damage that could make the pumpkin spoil before its time. If possible, choose a pumpkin that still has its stem attached – an ideal one will still be green. Finally, make sure that your pumpkin will look right when it’s in place by lying it on a flat surface. Cut the top out on an angle rather than cutting straight down – this will ensure the lid sits back on without falling through. Ideally use a boning knife or something similar for this job. Scoop it! Using a special pumpkin carving tool, an ice cream scoop, etc, scoop out the pulp until you’re just over an inch away from the skin. Carve it in your lap – it’s easier to carve a pumpkin when you’re doing it face-to-face, as it were… You can buy a special saw to make the cuts more precise on Amazon. Keep it fresh – seal the inside of the pumpkin with Vaseline to keep it fresh longer. If your pumpkin still shrivels up, soak it face down in a bucket of water or a bath for up to eight hours to “revive” it. Lid on or off? If you like to leave the lid on while the candle is burning, cut a small hole in the top of the pumpkin, otherwise it won’t shine as brightly. Or just remove the top to let it glow in all its glory! Make it smell nice – sprinkle a little cinnamon inside the pumpkin and you’ll be welcomed with the smell of pumpkin pie whenever your pumpkin’s lit! Of course, one of the most fun things to do at a Halloween party is to serve up some specially-themed food. You’ll find some great ideas for that here!